The Callaway Apex hybrid is the first hybrid for the Apex and Apex Pro iron player so you can transition perfectly from iron set to hybrid. It features the Forged Cup Face that leads to increased ball speeds and pairs it with Internal Standing Wave versatility. It also has precise shaping with a longer, more iron like blade length and a neutral bias that better players prefer. 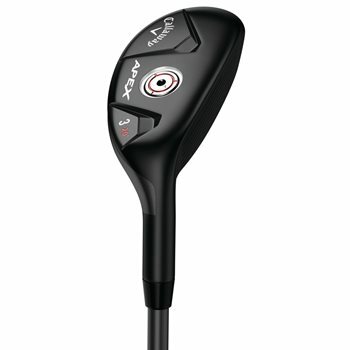 The Apex hybrid was built for distance, control and workability that Apex players have always wanted.